Breastmilk is best for baby, mom and even dad. I teach all about the benefits and troubleshoot the problems you may be having. I have breastfed both of my biological boys for over a year and even breastfed one of my adopted daughters. That was no easy task. It took research, commitment and a lot of determination. I am a firm believer in our body and babies knowing what to do, we just need to relax, believe it and sometimes seek a little guidance. Did you know that only 1% of women do not make enough milk? You CAN do this! However, sometimes there are circumstances that cause real challenges. How do you know what they are and what to do about them? If you are experiencing any concern, help is available. If you don’t get an answer or have your issue resolved, get a 2nd OR 3rd opinion. 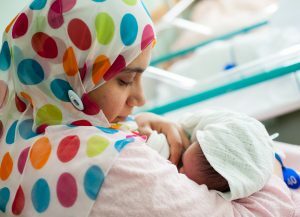 Did you know that most pediatricians today have had none or very little training on breastfeeding and yet moms expect them to be the experts. They give false information or just push formula ALL the time. Please seek support from someone with breastfeeding education if you are having any challenges. I am here to help and I travel to you, within about 25 miles of Glendora. I also offer packages that include doula services and enrichment classes.